The process of insurance valuations has become increasingly sophisticated, carrying higher risks and greater responsibilities than ever before. As valuers supporting the industry, we at Keen Property understand the ever increasing importance of risk management. Our objective is to ensure a consistent, efficient and effictive assesment of risk. We pride ourselves in our holistic approach and offer a package of services which is vital to enable sound management practices. We will ensure that your buildings are properly insured, have fairly equated unit entitlements and are properly provisioned for future maintenance. The valuers at Keen Property have extensive experience in strata, residential, commercial and industrial valuations and we are proud to list amongst our clients, some of the most prestigious strata and community management companies in Australia. 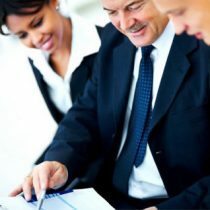 Whilst strata title insurance valuations and Capital Works Fund reports are a major focus of our business, we also provide a full range of services, from straight forward valuations to those of a complex nature which require the specialist knowledge and understanding necessary for us to maintain the enviable reputation we enjoy.